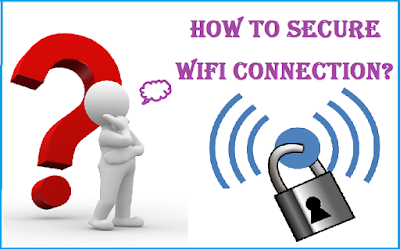 Securing your Wi-Fi network is an essential step in preventing a malicious user from using your wireless network. Here are the steps to follow. access your router's configuration utility is secured with a username and a password. This page is accessible by typing the IP address of your router in your Internet browser (for example: 192.168.1.1). The first step in securing your new Wi-Fi network is to change the password by going to the option to change it. Every wireless network has a name: the SSID (Service Set IDentifier). The second step is to change this name and hide it from malicious users. In the Router Configuration Utility, change the default SSID to a name so that it is not too simple. Then disable the broadcasting of the SSID name of your wireless network by checking the corresponding box so that it does not appear in the list of possible connections of your neighbors. Devices (PCs or PDAs) connected to a wireless network have a network card with a specific address: the MAC address (independently of this, a computer is defined by its IP address). In the configuration utility of your router, you must activate the filtering option and enter the MAC addresses of each of your devices. Only these devices (recognized on the network by their MAC address) will be able to access the network. order for each machine to connect to the network you will have to indicate the information indicated above. After searching for your wireless network, you must change the SSID name to match the name you specified for the router. Then enter the digital encryption key that was specified in the router's Setup Utility. This done, your devices should connect to the router and the internet. Sharing To share files and devices between Wi-Fi enabled computers, you must enable file sharing. The sharing procedure in Windows XP is simple. Choose "Control Panel", then "Network Connections" and click "Create Home Network or Enterprise Network". Then select "This computer connects to the Internet via another computer on my home network or via a residential gateway". The connection wizard will then detect your connection to the Internet. To share a folder with Windows XP, right-click on the folder in question, then choose the "Share and security" option and check the "Share this folder" option. To access all shared folders from any machine on the network, click "Start" and then "My Network Places". The same technique is used to put a printer on a network: on the computer to which the printer is directly connected: go to the "Start" menu then "Printers and Faxes", then right-click the installed printer and Select "Share".